Give your classroom a cheerful style with pom-pom accents! 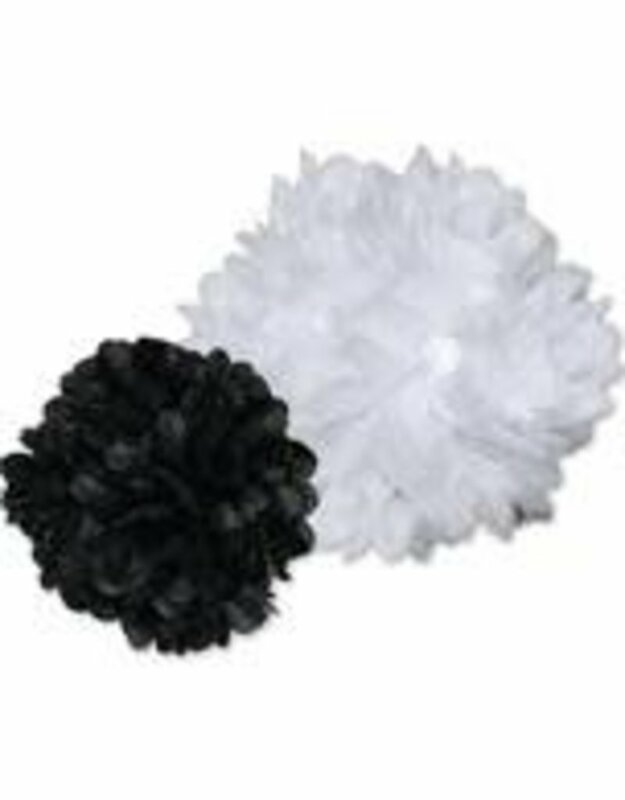 The 3-piece Black and White Pom-Poms pack includes:-1 white pom-pom (8")-1 black pom-pom (12")-1 white pom-pom (15")These tissue paper pom-poms can be layered or used alone to accent bulletin boards, message boards, and more. The Schoolgirl Style line of contemporary classroom accessories takes the guesswork out of styling, managing, and perfecting classroom design. Each collection, designed by Melanie Ralbusky, offers a signature look that transforms empty spaces into extraordinary environments for students to enjoy.